Marvel and DC Comics released a lot of superheroes. If you also want to customize your own superheroes, the following action figure customizing kit should be able to catch your eyes. 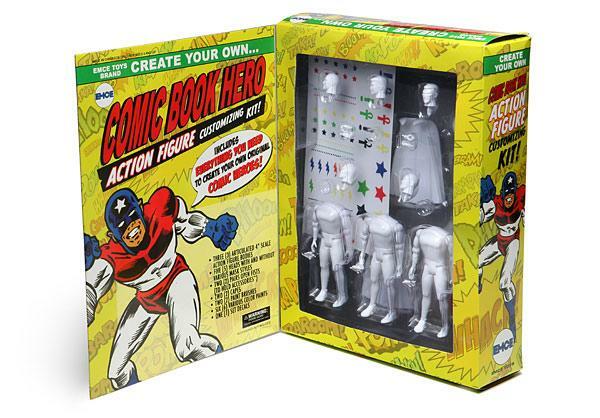 This is a pretty cool customizing kit designed to offer you an easy way to create your own superheroes. 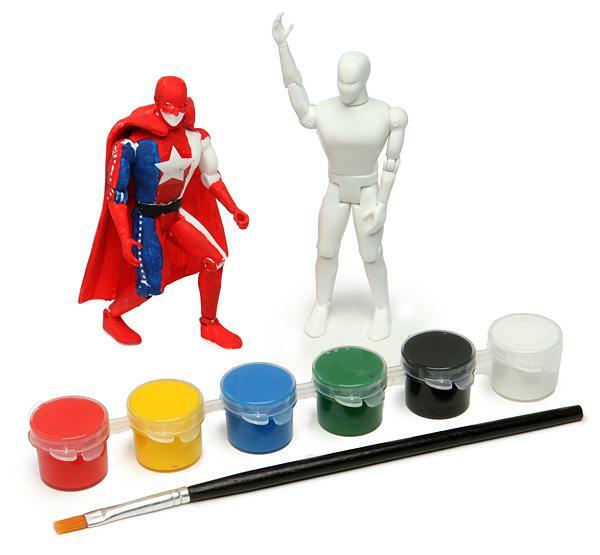 As we can see from the images, the superhero action figure customizing kit contains 3 articulated blank bodies that measuring 4 inches tall along with 5 heads with different masks and hair configurations, 2 pairs of spare hands and 2 capes, while using accompanying 6 plastic jars of paint and 2 brushes you can freely design your own superheroes. Apart from that, the decal sheet makes your superheroes more vivid. The superhero action figure customizing kit is priced at $39.99 USD. If you’re interested, jump to ThinkGeek for more details.